M-F 9 AM – 4:45 PM MTN, excluding holidays. Please provide convention name and acknowledgment number. 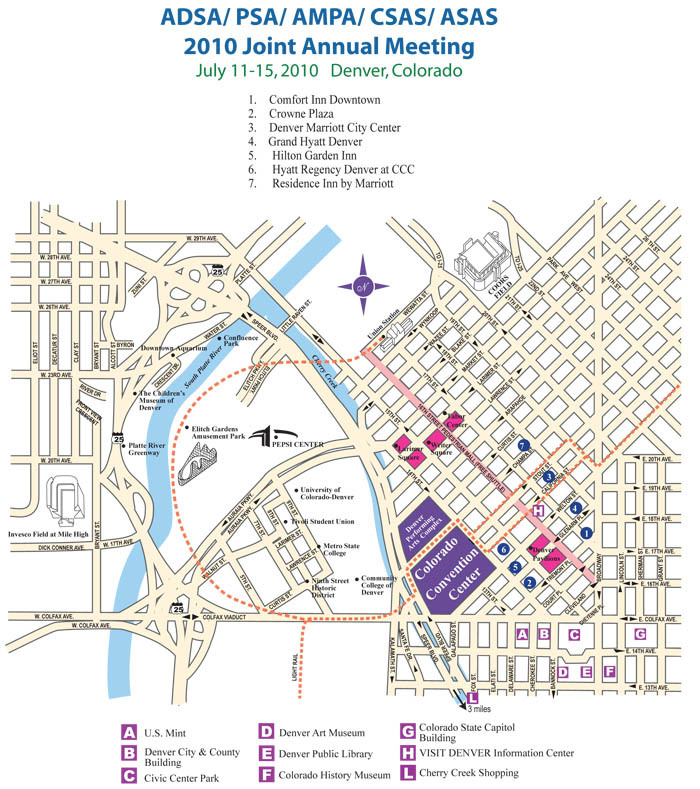 It has come to our attention that Convention Expo Travel may be contacting current and past Joint Annual Meeting exhibitors and sponsors to solicit hotel reservations for the 2010 JAM in Denver. Convention Expo Travel has not been authorized to handle housing and is not affiliated with the Joint Annual Meeting in any way. We strongly recommend that you do not provide credit card details if you are called, by this or any other company, or make payment to this or any other company that may call. Please work directly and only with the Denver Housing Bureau to avoid becoming the victim of fraud. All JAM hotel reservations should be made through the Denver Housing Bureau, using the link on this website, or the forms provided on this website and registration brochure. If you have booked rooms through Convention Expo Travel we recommend that you cancel with them immediately before you incur charges.